An informed Buyer / Seller is our best customer. We want your experience with RVclassified and other Internet advertising sites to be an informative, pleasant and hopefully profitable experience. For Sale ads are published instantly upon payment for an ad and just as with newspaper ads etc. we have no personal contact with the advertiser. It is for this reason we feel the necessity to warn advertisers and purchasers of potential scams. We will continue to update this page as we become aware of new threats to Buyers & Sellers and to police the ads at RVclassified to the best of our ability. The vast majority of offers to buy or sell RV's on the internet are by honest hard working folks simply looking to buy or sell an RV at a reasonable price. It is unfortunate but true that there are those, (Scam Artists), who surf the Internet looking for unsuspecting / uninformed individuals they can take advantage of and cheat out of their hard earned money. RVclassified wants you to be an informed Buyer and/or Seller. The following alerts apply to ALL Internet classified sites as well as most, if not all other advertising mediums. DO NOT REFUND ANY MONEY AND DO NOT RELEASE YOUR VEHICLE OR TITLE TO SAME until you are absolutely certain any payment is in clear funds in your bank. Check with your bank, make sure any check payment CERTIFIED CHECK / CASHIERS CHECK or otherwise, has cleared and the funds are 100% available in your account. If any purchaser is offering to buy your vehicle for more money than your asking price and is then expecting you to reimburse them some of the excess purchase price for WHATEVER REASON, " DON'T DO IT ". The biggest scam on the internet effecting the sale of RV's is almost always fashioned with a return of money that they, (the purchaser), has paid you in excess of your asking price, but by a counterfeit Certified or Cashiers Check. (2.) If you are buying a vehicle know who you are dealing with. Name, address, Telephone number etc. It is all to easy to get a fictitious email address through Yahoo.com, Hot mail etc. If at all possible SEE and PERSONALLY INSPECT the vehicle you are purchasing. BEFORE SENDING/PAYING ANY MONEY, (Deposit etc.) KNOW that the Seller owns the Vehicle you are attempting to purchase. Request a copy of the Sellers Personal ID, Drivers License etc. AND a copy of the Vehicles Title or current Vehicle Registration of the vehicle you are purchasing in the same name as the sellers personal ID. If the seller is requiring you to send a deposit before you can see / inspect the vehicle, for ANY reason this is a definite RED FLAG ! (See below for more info) Consider using the services of a disinterested 3rd party such as www.escrow.com whereupon your funds will be released to the seller only upon satisfactory completion of the sales agreement etc. Access Escrow.com or other escrow services from a search engine such as Google.com / Yahoo.com etc., NOT from an address PROVIDED YOU by the seller. The Scam Artists only wants your money !! When your Selling the Scam Artists wants your Money not your Vehicle. When your Buying the Scam Artist wants your money and you don't get the vehicle. In most cases the scam artist does not even own one !! (UPDATE #1:) Recently we have begun receiving emails concerning RV's being listed For Sale at far below their known retail value or Fair Market Value. (UPDATE #2:) Vehicles are now being offered at a more realistic selling price. Often these vehicles are supposedly being held by a 3rd party in some distant location making it difficult or impossible for you to inspect the vehicle, but it will be shipped to you at no cost etc. (UPDATE #3:) You will be required to place a significant deposit before the seller will agree to hold the vehicle for your inspection and or, meet you for your inspection. Seller he/she, generally has to travel a long distance to meet with you and previous buyers didn't show up etc. Therefore you will be told to send a significant deposit via MoneyGram etc., and you are told to send it to yourself for your pickup (for your monies safety/protection), BUT... advise the seller of the name the MoneyGram is sent in and provide the seller the reference # so that he knows you are a serious buyer... DON'T DO IT !!! ..Once you have sent the deposit all contact with the seller may be lost and when you arrive to inspect the vehicle there may be no one to meet you, no vehicle to inspect and your deposit may have already been picked up, and not by you ! The asking price may seem like a steal but the delivery of the vehicle may never occur and what's stolen may be YOUR MONEY !! If asked to send money via Moneygram, DO NOT provide the seller the Name money is being sent to OR the Reference number. Even though the MoneyGram may be sent in the name of someone other than the Seller, Moneygram will tell you, if ANYONE shows up at the other end with the correct name of the individual the moneygram has been sent to and the correct reference number there is a chance the funds may be released to them. We know of at least one instance where the seller told the buyer in order for him to take time off from the military to meet the buyer at the location the vehicle was being kept the buyer was to send a MoneyGram to himself (in his, the buyers name) and provide the seller the Reference # as proof that the deposit money was sent and available once the buyer had inspected the vehicle they could consummate the deal. When the buyer arrived there was no seller to meet him, no vehicle to inspect and when he went to retrieve his money he was told by Moneygram that someone had already picked up the money. The Scam Artist had the Reference # and apparently a fake ID. 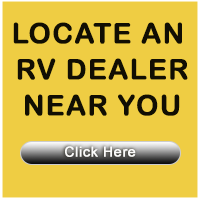 RVclassified has no contact with, or control over a potential buyers offer to purchase your RV. A potential buyers email offer goes directly to you the advertiser by their clicking upon the " Contact Seller " icon at your ad. For Sale ads are published instantly upon payment for an ad and just as with newspaper ads etc. we have no personal contact with the advertiser. It is for this reason we feel the necessity to warn advertisers and purchasers of potential scams. We will continue to update this page as we become aware of new threats to Buyers & Sellers and to police the ads at RVclassified to the best of our ability. Notify RVclassified about any suspicious ad listed in the For Sale Listing. If you believe you have, or have attempted to be scammed by someone we suggest you report same to The Internet Crime Complaint Center a partnership between the Federal Bureau of Investigation (FBI) and the National White Collar Crime Center (NW3C). This site also provides additional alerts for consumers and is easy-to-use. If it's a scam, they most frequently want your MONEY --- NOT your vehicle !!!!!!!!! OR .....They want your Money but, YOU DON'T GET THE VEHICLE !!! Either way, you lose ! The scam is, they really don't want your vehicle - - they want your MONEY!!!! They will offer to pay you by a Cashiers Check because Americans have traditionally found that to be as secure as CASH but that is no longer the case. Internet scammers offer payment by Cashiers Check and they will Fed Ex it to you and expect you to IMMEDIATELY send them the excess monies knowing full well they have sent you an excellent forgery that in all probability even your bank will not recognize as a forgery and will therefore accept it for deposit..
Usually within 24 hours of the check being delivered to you, they, the so called buyer, will begin DEMANDING you send them their refund IMMEDIATELY, before the check is identified as a forgery. They will threaten if you do not immediately refund them the difference they will contact the police etc., etc., all of this because they know that within 7 to 10 days the bank the Cashiers check is drawn on will reject it as a forgery and the funds will be withdrawn from your account at the bank at which you deposited it. Because the scammers are almost always located in a foreign country, if you have sent them any money there is little or nothing the police can do to help you get your money back. The old rule of thumb was LET THE BUYER BEWARE ! Now days... THE SELLER NEEDS TO BE JUST AS CAUTIOUS !!! A Cashiers Check does not guarantee payment until paid by the bank upon which it has been drawn. Cashiers Checks are sometimes a high quality forgery. Be especially cautious if any refund is to be sent to a foreign country (Nigeria in particular). Use extreme caution !!! 1. Telephone the bank upon which the Cashiers Check is drawn upon. 2. Explain the situation and that you believe it may be a forgery. 3. Have the check in front of you when calling and be prepared to provide the bank the check number, the date of issue, the amount for which the check is made out and which bank officer signed it etc. 4. The bank may have other questions so be sure to have the check in front of you when calling. Require proper identification: at a minimum Name, Address, Phone Number to contact at. Never give them your bank account number to deposit funds to etc. Make sure the payment you have received is available to you in cleared money (check with your bank to be sure) before signing over title & vehicle or refunding any monies for any reason. We would suggest if the potential purchaser you are dealing with is asking for cash from you for ANY REASON, you should be extremely skeptical and move forwarded with extreme caution !!! Make absolutely certain the payment you receive is cleared by your bank as paid in full by the bank it has been drawn on, and the funds are clear in your account before making any refunds. We cannot stress this enough, make absolutely certain your payment has been paid by the bank it has been drawn on and is CLEAR MONEY IN YOUR ACCOUNT !!!! A vehicle or vessel is offered at a ridiculously low asking price, way below the known "common sense" value. In these instances the vehicle is usually, (but not always), claimed to be located in a foreign country or held by a 3rd party shipping company etc. in a distant location and is being offered for sale at a ridiculously low price for reasons which do not seem to merit the significant loss in value and should certainly raise a red flag to anyone interested in purchasing same. We can only caution an interested buyer to BEWARE. Perhaps placing the deposit and purchase price in the hands of a disinterested but mutually acceptable 3rd party such as www.escrow.com whereupon the funds will be released to the seller only upon satisfactory completion of the sales agreement etc. Again BEWARE, scammers are frequently located in a foreign country. If you have sent them any money there is little or nothing Local, State, and Federal Authorities can do to help you get your money back. NOTE: RVclassified makes every effort to ensure all information regarding our ads is correct. However it must be understood that these ads are placed directly by the Seller and RVclassified cannot be responsible for any typographical errors, omissions, misprints, misinformation or incorrect photos. It is the responsibility of any potential purchaser to verify all details with the RV owner before consummating a sale. All communication regarding the purchase or sale of a vehicle is strictly between the Seller and Prospective Purchaser. We strongly recommend both Sellers & Purchasers review this page before consummating any transaction.